You are here: Home > MCSD News & Alerts > MCSD News & Alerts > District News > Muscatine County Extension & 4-H 2016-2017 School Year Day Camps! 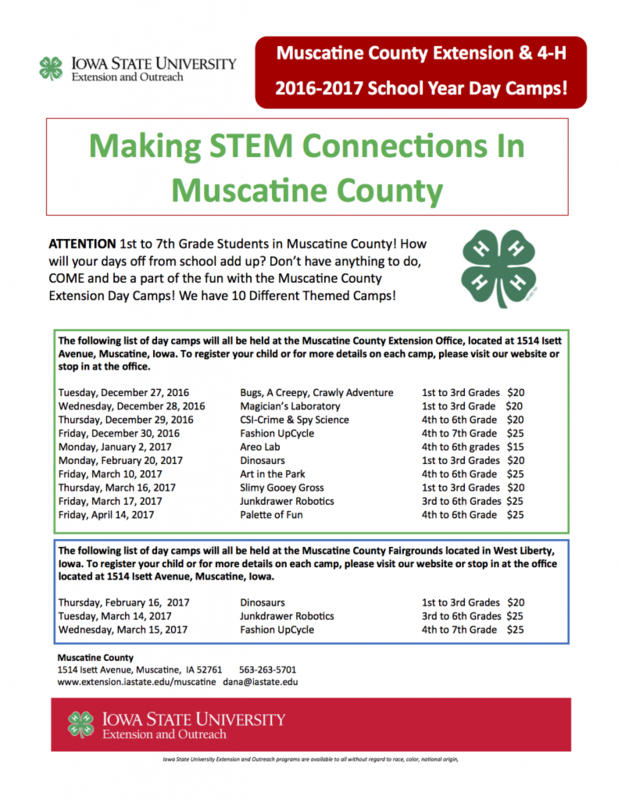 Muscatine County Extension & 4-H 2016-2017 School Year Day Camps! Making STEM Connections in Muscatine County. Attention 1st to 7th Graders of Muscatine County, don’t have anything to do on your days off from school. Come and be a part of the fun with the Muscatine County Extension Day Camps!